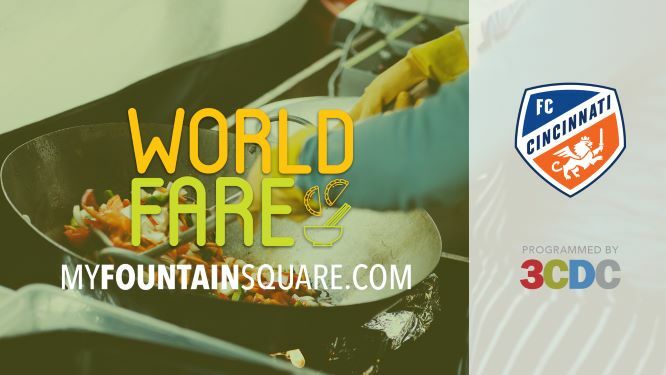 Enjoy food from vendors specializing in international cuisine Wednesdays from 11a-1:30p on the Square. Vendor line-ups will be announced on our Facebook page each week. Follow us so you don’t miss out! Series runs from April 3- October 9. Thank you to our sponsor FC Cincinnati! Events at Fountain Square brought to you by Fifth Third Bank.